We’ve seen vehicles with solar roofs that provide an extra boost of power, but the gorgeous Mercedes Benz Vision G-Code takes energy generation to a whole new level. The secret is the car’s paint, which is designed to generate power for the vehicle as an alternative fuel source. The Sports Utility Coupe is just a concept right now, but even if the vehicle doesn’t make it into production, the clever technology could be used to power cars in the future. The paint generates power in two ways: the first is by acting like a sort of solar panel to turn solar light into energy. The second is by generating power through electrostatic charging as the wind moves against the surface of the car. When added to the hybrid engine system, which includes an electric motor for the rear wheels and a combustion engine for the front wheels, the car combines power and clever sustainability. If power generating paint isn’t enough to turn your head, the car also comes with two electric scooters tucked away in the luggage compartment, which means that you can park anywhere and scoot yourself wherever it is you need to be. Now that’s what we call arriving in style. 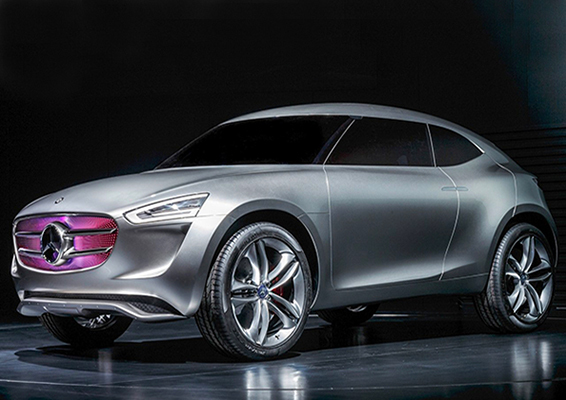 This is the smartest concept car yet. Solar paint and wind electrostatic power...? I'm beaming with radiance, electric with turbulence. Paint me ecstatic and bring on the future - right now. 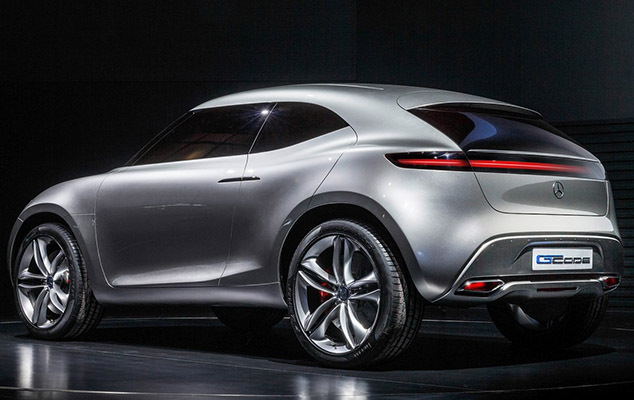 We've seen vehicles with solar roofs that provide an extra boost of power, but the gorgeous Mercedes Benz Vision G-Code takes energy generation to a whole new level. The secret is the car’s paint, which is designed to generate power for the vehicle as an alternative fuel source. The Sports Utility Coupe is just a concept right now, but even if the vehicle doesn’t make it into production, the clever technology could be used to power cars in the future.